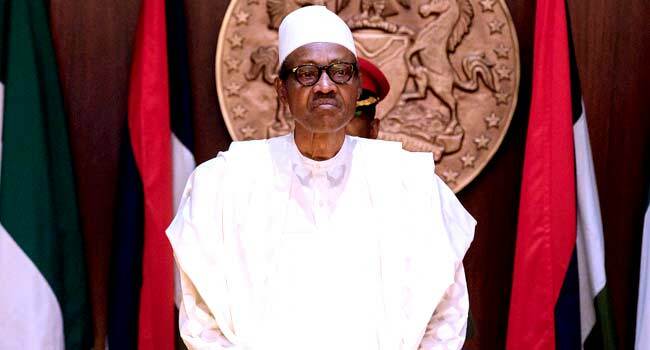 President Muhammadu Buhari has condemned the speculations that he is doing nothing to address the crisis between farmers and herdsmen in the country. 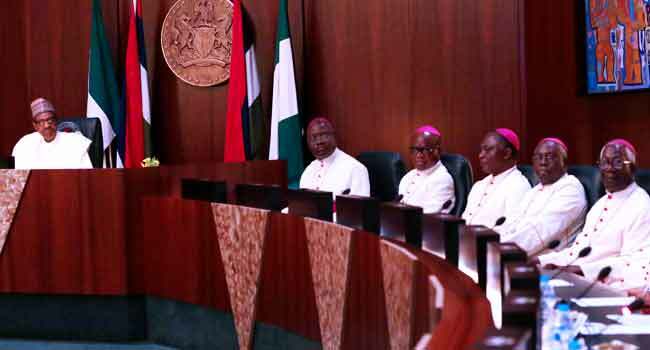 The President said this on Thursday when he received a delegation of the Catholic Bishops Conference of Nigeria (CBCN) led by Most Reverend Ignatius Kaigama at the State House in Abuja. “The impression created that I was sitting in an air-conditioned office and home, enjoying myself while these things happened, is dishonest,” he said in a statement issued by his Special Adviser on Media and Publicity, Mr Femi Adesina. “At every step, I have tried to foresee these problems because I have the experience as a former military officer who commanded three out of the four divisions of the Nigerian army – in Lagos, Ibadan and Jos. “I am quite aware of the problems we have and I am doing my best to get law enforcement agencies to be on alert,” he added. President Buhari explained that the policy proposed by Federal Government in response to the crisis was not meant to colonise any part of the country. Instead, he said the intention of the government was to create grazing locations for cattle rearers, which has now been misconstrued as another form of colonisation. The President regretted that the well-thought-out policy, which was conceived after wide consultations with stakeholders, had been largely misunderstood by a section of the public. He, however, assured the Catholic Bishops that the Federal Government would continue to explore all opportunities and support initiatives to ensure peace and stability in restive areas. He also condemned the recent spate of killings in Benue, Adamawa, Taraba, and Zamfara states and noted that the security operatives would ensure prosecution of perpetrators and all those found with illegal arms in the affected areas. President further told the Catholic Bishops that he would not be tired of recounting remarkable progress recorded in the areas of security, economy and the fight against corruption. He said: “We have done very well on security in the North East when you compare what the condition was before we came in and what it is now. He, however, added that he would take a second look at areas on which issues have been raised when a compendium of all government appointments is submitted to him. In his remarks, CBCN President and Archbishop of Jos, Kaigama, pledged that the Catholic Church in Nigeria would continue to support the Buhari administration. He added that they would also make their contribution to nation-building through prayers, admonitions and assistance to needy Nigerians. “As the voice of the people, we shall continue to highlight the plight of our people and play our prophetic role of sensitising the government, thus promoting good governance, national unity and cohesion,” Kaigama said.